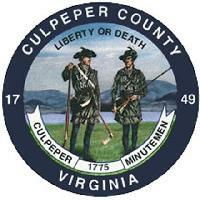 Culpeper County lies in the northern piedmont region of Virginia in the rolling foothills of the Blue Ridge Mountains, about 65 miles south of Washington, DC, and 45 miles north of Charlottesville. *GIS maps are not accessable from all Library computers. Please ask library staff for further assistance.